On September 28, 2018, The Fletcher School hosted The Ocean’s Turn? conference - a one-day event that looked at the role of the ocean as an avenue, an arena, and a source, and examined it all through the lens of geopolitics, sustainability and an overarching notion of innovation. The conference brought together thought leaders from around the globe to examine critical issues facing the world’s oceans today. 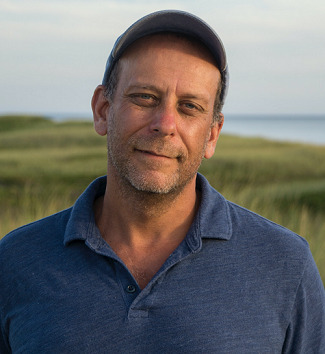 One of the experts who presented at the conference was Paul Greenberg, a bestselling American author on the ocean and environmental issues. This interview was conducted by Chloe Logan, Senior Web Editor, and Samantha Chen, Web Staff Editor. FF: You recently released a new book, The Omega Principle. Could you please give a brief overview of what your book is about? PG: When people think of seafood, they tend to think about this molecule called omega-3s, which is actually a family of molecules. And they think of seafood not necessarily as a food, [but] as a nutraceutical, like it’s this food that’s also somehow a bag of nutrients. As somebody who really loves the ecology of the ocean, I wanted to take those people by the shoulders and shake them a little bit and say, “Okay, I’ll tell you about your omega-3s, where they come from, [and] how best to get them, but let’s really talk about the very fundamental parts of the ocean that make omega-3s.” They come from the bottom of the food chain, which is plankton. So, I wanted to give an ecology lesson at the same time I was giving a health lesson. There is [also] a fair amount in the book about the scientific method, and how we know if anything works, whether it’s in health and nutrition, medicine, or environmental policy. FF: In one of your opinion pieces, you mention that the fish reduction industry has been targeting Antarctic krill. What are the global and environmental implications of removing the krill from their ecosystem? PG: Krill is the largest single-species animal biomass in the world and some estimates put it in excess of 500 million metric tons. To put that into perspective, all the fish that humans catch is only 80 or 90 million metric tons. So, there’s way more krill out there than fish we catch. And we’re not catching that much krill; we’re catching 200 to 400 thousand metric tons, so it’s actually fairly small. That said, the Antarctic ecosystem is what ecologists call a “wasp-waist” ecosystem, meaning that it’s like an hourglass: in the middle is a single species that’s a pinch point. So, there are all these organisms beneath krill that krill eat and then there are all these organisms above krill that krill feed. And if you negatively impact the krill population, then you have this real potential to throw the ecosystem out of order. Right now, with the present amount of [krill] extraction going on, I don’t know that we’re necessarily endangering the Antarctic ecosystem. But there are a lot of people who would like to get their hands on the krill. Developing countries everywhere see it as a potential protein source – a source for animal feed. Nearly everything else in the Antarctic is protected, so I say why not protect the krill as well. FF: What are your recommendations for making the fish reduction industry more sustainable, and what role could policymakers play in that? PG: Frankly, I think we’re at the point with emerging technologies that a fish reduction industry could be gotten rid of altogether. Maybe that’s a little bit extreme, and maybe the world could tolerate a certain amount of reduction. My feeling is [that] the reduction industry could be transformed into a recycling industry. Instead of doing primary harvesting of wild fish, we could be doing things like using black soldier fly larvae to feed on food waste and turn that into feed. We could be doing a lot more with the processing of offcuts from commercial fisheries. I think that [we could do] a combination of new technology where we’re either synthesizing things from algae or doing this black culture fly larvae with food waste, or doing any number of different things. Plus, we can really think about more rational uses for foraged fish – Peruvian Anchoveta is actually perfectly edible food, but 99 percent of it is used for the reduction industry. Not that I want to put all these fishermen out of business, but you don’t get paid very much for fish when it’s for a reduction fishery. My general eyeballing of the situation is, why not half the fish at twice the price, make it a food fish fishery, and try to get it into the hands and mouths of people who could actually benefit from the nutrition contained within those fish? FF: What is the fish fraud epidemic, and what is its impact on environmental figures and reporting? PG: I think one has to ask, is there a fish fraud epidemic? I think there is certainly a fair amount of mislabeling [and a question of] how you want to interpret that — is it an epidemic or is it a persistent problem? Fish changes hands quite a bit before it goes from the ocean to the consumer’s plate. Seven or eight times is not unusual for a fish to change hands. So anytime a product changes hands, there’s an opportunity for fraud. And especially with fish, where you have concerns about fish going bad or the need to move it quickly, traceability isn’t always the number-one concern. That’s really where it stems from. I think all these interesting things are starting to develop, like blockchain, which allow [for] more rational tracing of fish from boat to plate, and hopefully we’ll see more of that in the future. FF: Thinking more broadly, which issue do you think will afflict oceans the most over the next ten years, whether it be what’s currently afflicting them or a different issue altogether? PG: Probably the largest thing we have to deal with is ocean acidification and other ancillary things that climate change is causing. We are seeing massive changes in the distribution of fish. The fish are moving – cold-water fish are moving north, and warm-water fish are moving up and replacing them. We often don’t have management regimes to thoroughly take that into account. How can you have rational management, for example, of Black Sea Bass in Maine when Black Sea Bass didn’t even exist in Maine 20 years ago? How do managers catch up with that? But more overarching than those individual management issues are going to be the ocean chemistry issues and the ocean temperature issues because those change the degree to which the ocean is productive and how much you can harvest. We’re going to really need dynamic management models if we want to continue to fish rather than farm. FF: On that note, what steps do you think the United States should take with its international partners to improve sustainability efforts and ocean conservation?